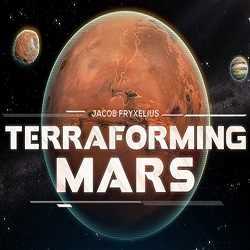 Terraforming Mars is a Strategy game for PC published by Asmodee Digital in 2018. The taming of the Red Planet has begun. Be quick not to loose! Corporations are competing to transform Mars into a habitable planet by spending vast resources and using innovative technology to raise temperature, create a breathable atmosphere, and make oceans of water.